We have our first sunny day in weeks today. First pic on a slower shutter than the second one. 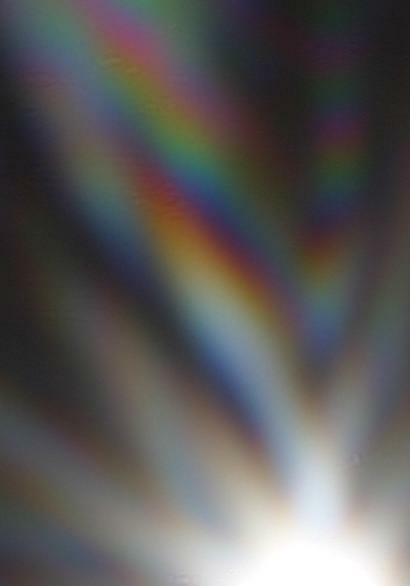 What is that complex above the sun? Looks scary. 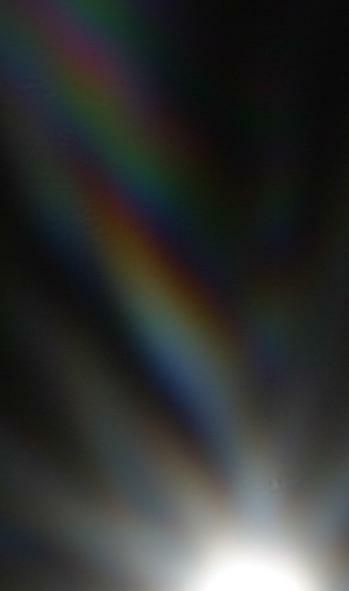 My purpose of using the pinhole lens with Digital back is to eliminate glass lens surface flare artifacts. With the pinhole image there is no question of the authenticity of the captured personas. Mostly this is a personal reassurance exercise as the personas have been photographed by others before but I have no idea whether they are lens flare or not. The pinhole setup rules out the flare problem totally. This process is totally replicable by anyone with a digital DSR and the personas may be captured at any time of day for those who want a personal dose of certainty. 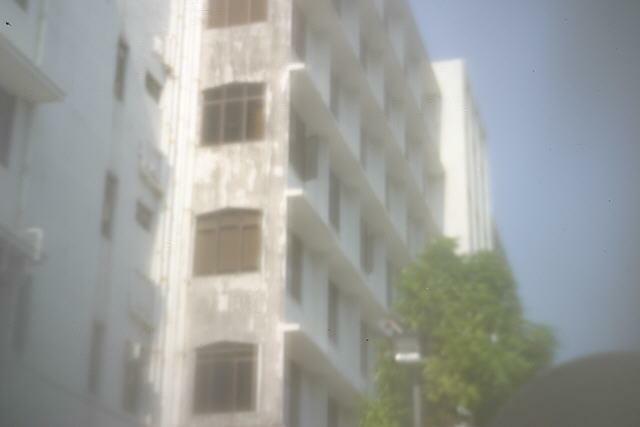 The quality is OK for a pinhole [note last photo provided for comparison]. If the subject is centered resolution is acceptable. If the building comes through the pinhole with such clarity and lack of distortion, then the Comet/Tail around the Sun should likewise! Compare size and complexity to prior photo on Jan 11.